My name is Tracy. I worked outside of the home for the first two years of being a mom, I was incredibly blessed to spend seven years at home with my three boys, an almost 4 year old, a 7 year old and a 9 year old. Most of what you will see here on this blog are from those seven precious years, but because of some unforeseen circumstances I have returned to work and my boys are now attending school. I do hope to continue to write, although, I am sure less frequently, about the challenges of going from a homeschooling Mom to a working Mom. Why I started this blog - I have been thinking for some time now that it would be fun to have a blog. It would be so neat if I had something of value to share with other Moms. I don't feel like I am an extraordinary Mom in any way. I mostly try to keep my head above water. I don't craft, I don't cook, I don't sew my children's clothes, I don't coupon and so on. So what do I do? Who am I as a Mom? I am the Mom with a dandelion in my hair as I walk into church on Sunday morning. The dandelion was a gift from my son. The value of that dandelion and that moment is immeasurable to me. For me, the dandelion has always been a symbol of childhood. We adults call it a weed, but children see it as a beautiful flower, meant to be given to someone they love. Before staying at home I worked at a Memory Care community for people living with Alzheimer's and other dementia's. I have seen lives cut short, adventures that were never had. I have also seen true and unwavering love between spouses and between sons and mothers. So how would I sum myself up, I am a Mom who is trying. I love and cherish my kids and know how precious this time is with them because I have seen how quickly it can be gone. I hope and pray, that by God's grace, I will do my job well, and some day my sons will come to see me in my old age and bring me a dandelion for my hair. This blog has developed over time and keeps changing as our life changes. Many of the posts are about our unexpected homeschool journey. To see why we homeschool click here. 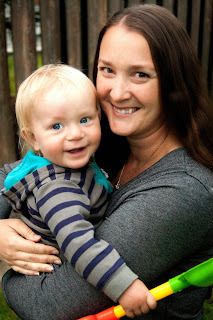 I am also a Blog Ambassador and the Blog Coordinator for Mother Goose Time preschool curriculum. Many of my posts will touch on our use of Mother Goose Time, we still use Mother Goose Time as a family. I had the privilege of visiting the headquarters and I have gained even more love for this company and those people who make this amazing product. I feel like God has certainly honored my quiet prayer when I started this blog in a big way by allowing me to work from home. I feel so blessed to be a part of the team. Now that my oldest is heading into 2nd grade we have continued to try new curriculum to find what works for us. Since I am one of those people that tells everyone I know about a product I love, I just can't help but to share them here. And I am sure I still will, even though it may not be about homeschool curriculum! You can get in touch with me by email at dandelioninherhair@yahoo.com. I would love to hear from you. Like many other Web sites, www.dandelioninherhair.com makes use of log files. These files merely logs visitors to the site - usually a standard procedure for hosting companies and a part of hosting services's analytics. The information inside the log files includes internet protocol (IP) addresses, browser type, Internet Service Provider (ISP), date/time stamp, referring/exit pages, and possibly the number of clicks. This information is used to analyze trends, administer the site, track user's movement around the site, and gather demographic information. IP addresses, and other such information are not linked to any information that is personally identifiable. → Google's use of the DART cookie enables it to serve ads to our site's visitors based upon their visit to www.dandelioninherhair.com and other sites on the Internet. www.dandelioninherhair.com has no access to or control over these cookies that are used by third-party advertisers. We believe it is important to provide added protection for children online. We encourage parents and guardians to spend time online with their children to observe, participate in and/or monitor and guide their online activity. www.dandelioninherhair.com does not knowingly collect any personally identifiable information from children under the age of 13. If a parent or guardian believes that www.dandelioninherhair.com has in its database the personally-identifiable information of a child under the age of 13, please contact us immediately (using the contact in the first paragraph) and we will use our best efforts to promptly remove such information from our records.